I love this classic book on how your group can reach people who need to hear and be transformed by the gospel. Personal evangelism, mass evangelism: most choose one or the other when planning an outreach program. But there is another way. A biblical way. A way that is revolutionary in its scope and effectiveness. Small group evangelism, says Richard Peace, may be the best means to reach our post-Christian generation for Christ. Groups provide a nonthreatening atmosphere where believers and seekers together can openly explore the Christian faith and the person of Jesus. 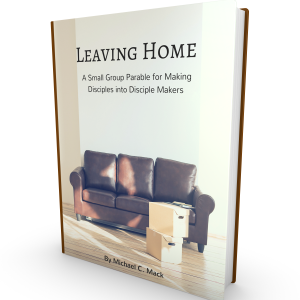 Book includes a nine to thirteen week program for training in small groups and a full set of guidelines for leaders.